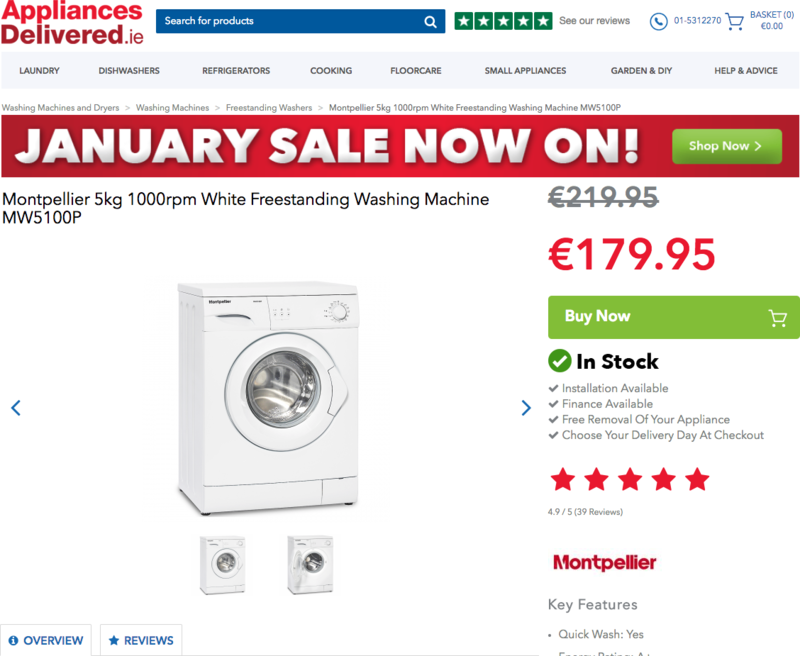 Ireland's leading ecommerce site for buying appliances. 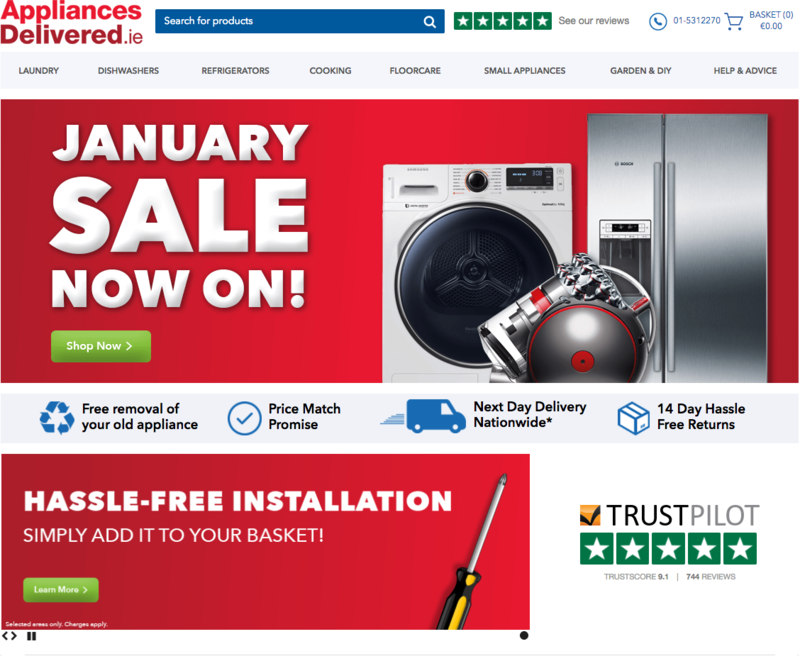 Appliances Delivered is an Irish-owned company based in Dublin. It was established as Buy & Sell back in 1991 when it was originally a print-based classified publication. Their first website launched in 1998. In 2014, they decided it was time for change. So they moved their focus to delivering appliances cheaper and faster than anyone else in Ireland. 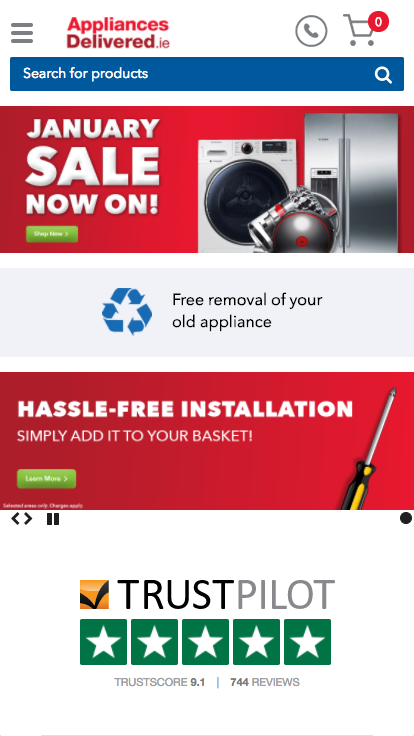 In 2016, AppliancesDelivered.ie was born for one purpose. 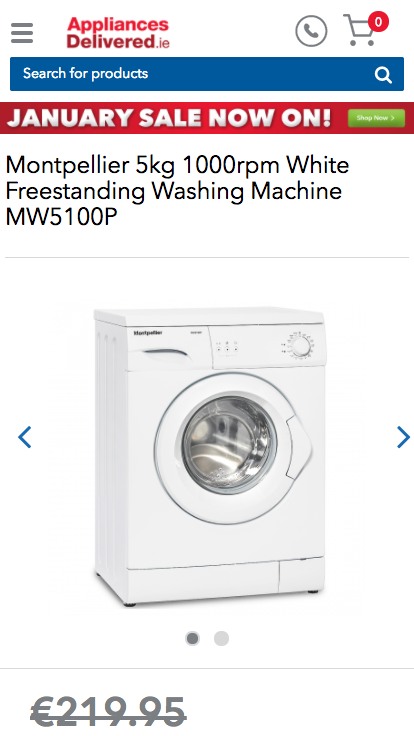 To take away the hassle of buying appliances, it's that simple. 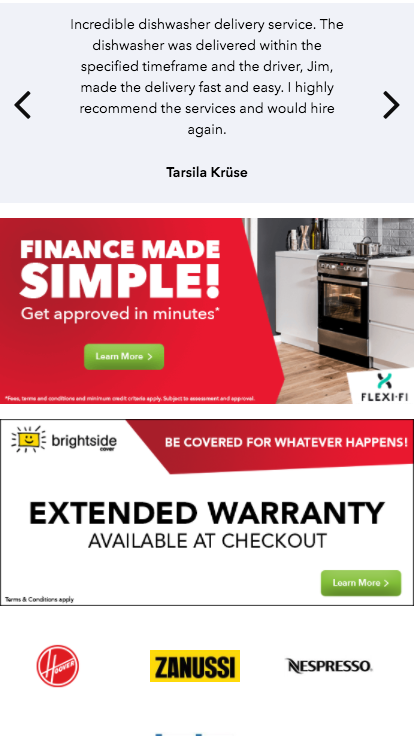 They have dedicated a team to making ordering appliances easy, affordable, and fast. 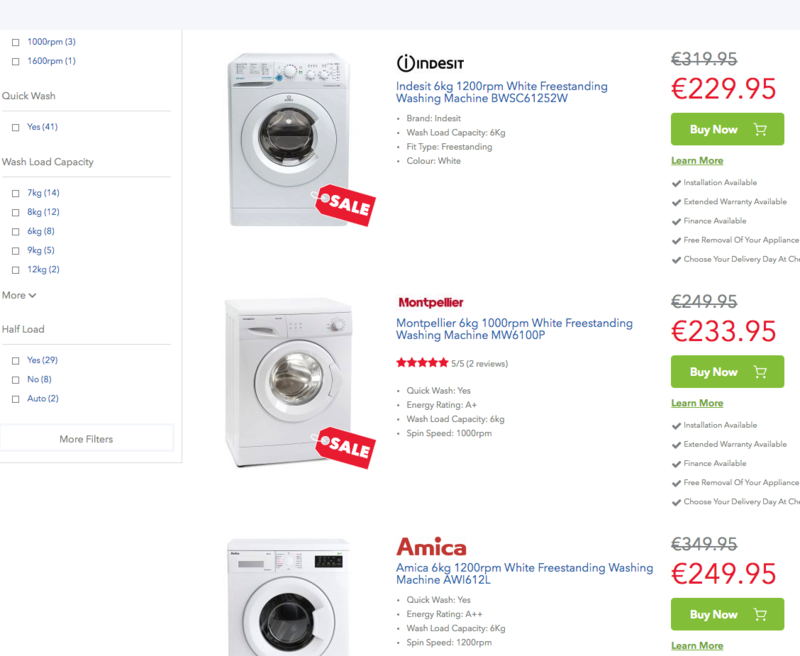 Square1 were commissioned by Appliances Delivered to design and develop a dedicated platform for buying appliances online in Ireland. Square1 has been responsible for building their entire online solution, infrastructure, backend, payments integration, UX/UI and branding. Square1 is a multi award winning web and mobile app design/development agency with offices both in Ireland and Spain. We employ a team of 50 highly skilled designers & developers and have our head office located at The Digital Hub in Dublin. For more information contact Square1 at [email protected] or call +353 (0)1 685 9029. All fields need to be filled out. Message sent! We’ll get back to you very soon. © 2019 Square1 Software Ltd.